Oh no, here we go again. Another episode of so-called "Greatest Hits". This collection covers episodes 36 through 47. These snips were carefully, painstakingly, agonizingly, excruciatingly hand selected by Old Man Dan and Piano Man. You might find a few things in here that you missed the first time around, and others that will bring back some memories -- hopefully not the same memories you've been trying to FORGET since the shows first aired! Surely the best moments come from the many guests we interviewed. Our thanks again to all of them for making us look good. Or, at least, not quite so bad! Ahhh, we are waxing nostalgic, and with your permission we will wax on. Next episode we will wax off. 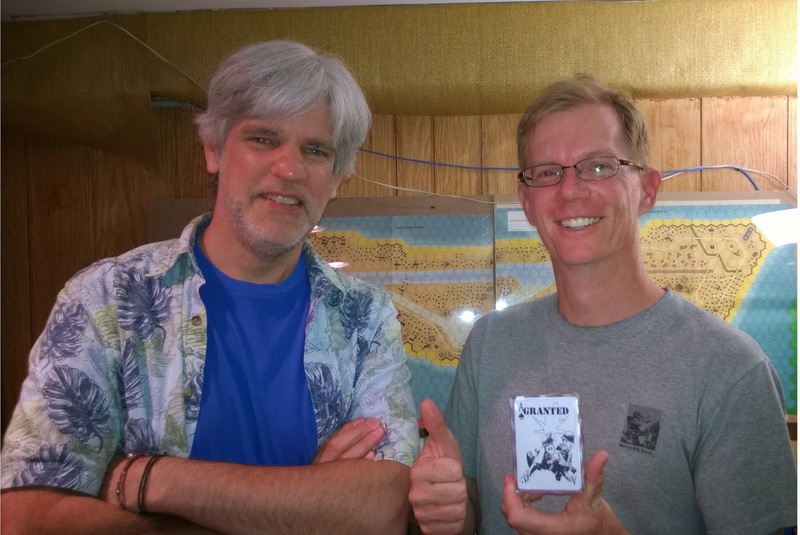 At a recent meeting of the Palatine Area Advanced Squad Leaders club (PAASL) Dave ended up with no opponent to play, so he started recording a play-by-play of the only game happening; scenario OST12, The Liberation of Minsk from the Ost Front 2 Pack by Lone Canuck Publishing. This little experiment turned out pretty good, so we decided to publish it for your enjoyment and edification. Rich Domovic commanded the Russians while Mike Stubits played the German defender. The high level of experience of these two players showed as they battled it out in 1944. You won't find the initial setup here as it was a spur of the moment decision to record, and there are gaps in the recording as we pause to let players think and plan. We hope the photos will clarify things. There are some great moves made during this one, so we hope you can learn a trick or two. The live narration of the game in progress makes it sound a bit like a golf tournament, but there's no soft clapping from the gallery. Feel free to fill that in yourselves. Look what happens when we leave the broadcast foxhole unguarded and the door unlocked (yes, our foxhole has a door). We get drop-ins! 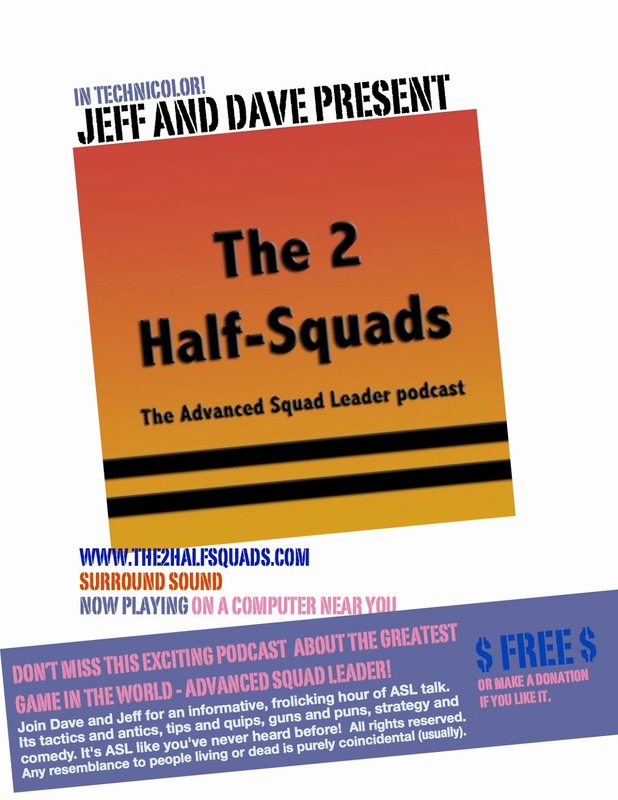 From far off California we welcome Dennis Donovan live in the studio joining us in some grand conversation about the greatest game in the world, Advanced Squad Leader (duh). Together we cooked up a heaping-helping of banter and serve up such topics as model building, syncopes (such as fo'c's'le, the syncope of forecastle), scenarios we've been playing lately, horticulture and, best of all, Interdiction. It's a mad, mad, mad, mad mix of multi-man madcapery (that word isn't in the dictionary YET). 45:00 - What'cha Been Playin' Lately?